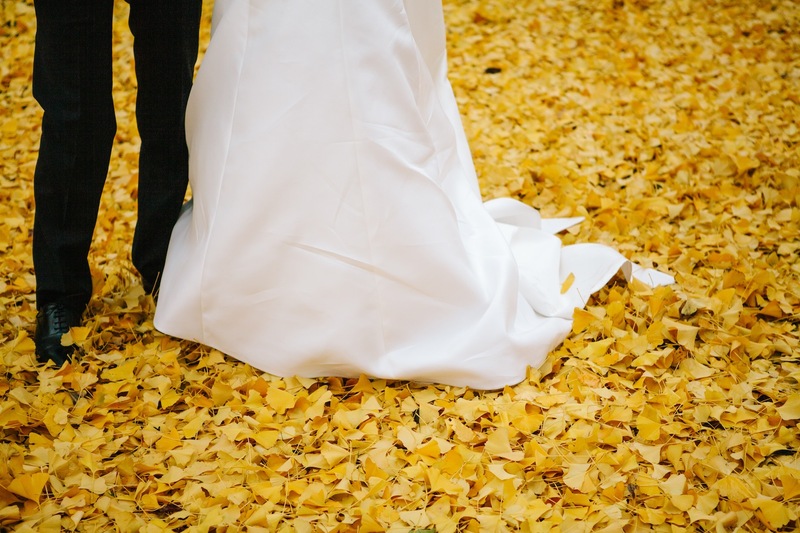 It’s no surprise that the fall tends to be one of the most popular seasons for weddings. There’s the glorious natural foliage, the incredible seasonal colors, the pleasant temperature, and more. However, like any wedding in any season, there are some trends that are really gaining steam at the moment and others that seem to be fading away. Luckily, we’ve been in NY / NJ videography creating wedding videos for a long time now, so we make it our business to know what’s in and what’s out. So, let’s take a look at some of the 2015 fall wedding trends that are worth paying attention to so that if you’re planning an autumn affair, you’ll have all the latest options on the table. You can never go wrong with a classic, elegant ballroom setting for a wedding, however, we’re seeing more and more couples choose more unconventional venues to celebrate their marriages. And the thing is, unconventional venues, depending on how unconventional they are, tend to work well with fall weddings, whether you’re going for a rustic theme or you simply want to let the natural beauty of the season do the talking. Just think about the visual appeal of a barn-style wedding or a ceremony in a state park in the fall season. These kinds of unusual settings can make any autumn wedding unforgettable. However, we’ve been in NJ / NY videography for long enough to know that, when choosing an unconventional venue, you need to be mindful of having too heavy a hand in terms of the decor. After all, you’re choosing an unconventional, attention-grabbing setting for your big day for a reason, so the best approach is usually to just let the space speak for itself. Don’t go overboard with decor and accessories. You don’t want to clutter the location and get in the way of its natural charm and, on top of that, if you choose an outdoor setting, remember to be mindful of the temperature to ensure guests are comfortable. For more information on what you need to remember when planning an outdoor celebration, check out our recent post: Tips to Keep Your Outdoor Wedding Comfortable and Original. Right now, it’s safe to say that the wedding dress isn’t what it used to be, or at least it doesn’t have to be. We’re seeing more and more brides be far more bold in their dress choices, and you can expect to see more of that this fall. For instance, long sleeve wedding dresses are continuing to trend at the moment and, in our experience in NY / NJ videography, they’re a perfect fit for a fall wedding. Whether the sleeves go all the way down to the wrists or stop at the elbow, a long sleeve dress brings a certain elegance to the bridal look. However, that’s not the only look trending in terms of the wedding dress. If the long-sleeve look is a little too conservative for you or doesn’t fit in with your theme or style, you can also break from the traditional approach by going with a two-piece ensemble, which renders a more laid back look and works especially well with rustic themes. If you really want to go bold with your dress choice, you can forgo the dress altogether. For a little while now, bridal pant suits have been becoming increasingly popular and, again, they work especially well in what can be the chillier fall temperatures. We’ve been in NJ / NY videography for years and couples are continuing to find new ways to make their weddings more personal and customized to fit their particular personalities, and that doesn’t change with invitation design. One way they’re creating tailor-made invites is by featuring photography. More and more couples are expanding their photography package and, if you’ve got a ton of high-quality engagement photos, why not use them on your invitations? It’s the perfect way to add a personal, unique touch to your invites. You can choose a photo of one of those unforgettable fleeting moments in the past, a few photos that visually tell your and your partner’s love story, or you can think a little more outside the box and come up with a creative theme, if appropriate of course. We’ve seen couples use old school photos, get into costume, make movie poster-style invitations, etc. The point is, with all the recent advancements in photography, couples are starting to find new ways to be original, and the invitations provide a perfect opportunity to showcase that originality and create anticipation for your big day. Many of the more popular flowers aren’t in season in the fall, so some couples use other, more unconventional autumn-related plants like crabapples or ornamental vegetables to decorate the space. Pumpkins, whether you use one species or a variety, can work beautifully as table centerpieces and are a perfect fall wedding accent as well. However, one of the more eye-popping food-as-decor fall wedding trends is leaf-shaped pasta. With a little coloring, this kind of detail can really help to bring the whole autumn theme home. And, at least in our time in the NY / NJ videography industry creating wedding videos, it’s these little details that tend to make the biggest difference. Check out our wedding gallery to see what we mean. From there, naked, or unfrosted, wedding cakes have been trending for a while now and you can expect to continue seeing more of them this fall, and although they’re not really a part of the decor, they tend to grab attention. The bottom line is, while these aren’t all the trends that may emerge or continue their reign this fall, these are the ones you need to pay special attention to. If one of them fits in with your theme and the personalities of you and your partner, then don’t be afraid to jump on the bandwagon and use it. They’re popular for a reason; they work. About Us: Live Picture Studios, a veteran of the NY / NJ videography industry, specializes in creating cinematic wedding videos for the entire NJ, NY, CT, and PA area. At LPS, we make memories magical through our unmatched cinematic storytelling abilities. Visit www.livepicturestudios.com to learn more.